The balcony is a key part of the design culture in practically every culture. It’s not surprising that it would still be a big part of furniture design today. There are unlimited ways to set up your own balcony for your bar but some are obviously better than others. Finding your own personal style with this sort of setup can be difficult so we’ll give you a few ideas. In many ways it’s the same process as decorating the rest of your bar so it deserves all the thought and attention you can give it. 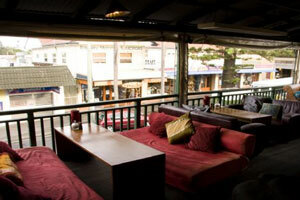 Outdoor rooms in a balcony setting have the huge plus of giving your customers a view. This charming part of any elevated setting is something that most people will pay extra for. Therefore it’s easy to understand why this is so popular today. Some of the hippest clubs in the world are all part of a balcony setting where people pay incredible amounts of money just to get in the door and see the amazing sights of a big city. It’s true from New York to London. Outdoor Furniture does not have to change much when put on a balcony. It should be able to stand up to the normal light rain and other environmental changes you probably already prepared for. Other than that it should mostly fit in with whatever else you have outdoors and indoors. As always creating a coherent theme is quite useful for insuring that a certain atmosphere is created at all times. This basic rule is still essential today. Depending on your setting you might actually want to make the balcony a VIP room setting. It could even have a special enclosure with glass you can’t see through from the outside. This is of course only for the most posh establishments in the world. For those who can afford it we would suggest doing something like this because it would also protect your outdoor furniture from harsh weather as well, which has some obvious advantages. Before getting too in-depth with this you should also check to make sure that your balcony is structurally sound. All this hard work might be for nothing if it is not. So check on that and find out for yourself whether it all works. Concrete can be a big help in this area as well. Rising sales have led to many designers taking note of the popular bar balcony trend. So it’s important to pay attention to this trend if you have any sort of elevated area at your bar. Otherwise you are missing out on some incredible charm that you could have easily and without a whole ton of work on your part as well. Safety is also always a concern so your guard rails are also a big part of your outdoor furniture. Whether you have a solid block or simple railings you can decorate these with practically anything you want from candle holders to frescoes. They are in many ways a canvas which an artist can use to paint an incredible picture, literally or figuratively. Theft is always a concern when you run any sort of bar. Protecting yourself from thieves is a very important part of saving money. Depending on where you live this is a larger or smaller concern but is never something that you should just ignore. It can mean the difference between making a profit in a year and going out of business. We’ll discuss how some thieves do it and what you can do to protect yourself as well. It’s not hard to figure out why thieves would target some restaurants. 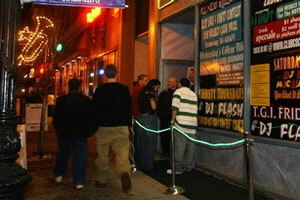 Most establishments do not stay open all night and police presence is limited at night. Therefore many of these places are great targets for enterprising thieves who want to make a tidy sum off. It’s also not terribly hard to move these items without a lot of questions being asked. People sell every single type of furniture all day every day. Thieves can sweep in much more quickly than you might imagine. Jobs like this are usually planned for months in advance so that they can grab it and get out quickly. Police are likely to check any truck that looks suspicious if it’s out on the road late at night. It’s impractical for anyone to take your items during the day for a multitude of reasons, not the least of which being your patrons will probably be sitting on the items they want to take during business hours. Multiple businesses are often hit in the same night so it can be a warning sign for you if someone else has had their items stolen. Thieves like to target similar outdoor furniture which they know they can easily take and get away with. While that may be small consolation for some it’s easy to protect yourself with some preparation and that’s your hint right there. For those who want full security your restaurant outdoor furniture should actually be bolted down. This can be somewhat expensive and should only be used for the most impressive cast-iron or other items. However it does give you the added security and comfort of knowing that most thieves will not bother with removing items like these. It’s just too much trouble and they will go for easier targets in the nearby area. You can of course always move to a safer area if you believe your business is at risk. This is the path that many people decide to go with and it leads to huge numbers of establishments simply packing up and moving on. This can have a terrible effect on the surrounding area but it is sometimes necessary. It’s also important for normal homeowners to keep this in mind as well. It doesn’t happen often but it can, especially if you have valuable items there. The good news is that major thefts like this are thankfully rare. You won’t see them happen regularly but they do come up here and there. As always it’s better to be safe than sorry when it comes to your extremely valuable outdoor furniture. Vigilance is, as always, the best way to do this and can really help you stay safe no matter how difficult things are. Everyone has seen some small video or article on a “hidden” bar. But how do you go about creating this sort of thing and what can it do for your business? The idea is surprisingly accessible for many owners in bars. Many factors came together for this and all of them are great for the future of the industry. In the United States and parts of Europe the “hidden” idea came from very different times. In Europe it was from a war atmosphere that required many of these be set underground to protect from bombing runs or even to hide in areas where these were outlawed. In the United States prohibition created a similar climate and the speakeasy style carried over into the modern day, becoming a charming novelty from a somewhat dangerous time for bar owners. Just existing as a bar like this will usually bring you a lot of attention in the media. Free publicity always matters for those who really want to push themselves up to the very top in any city they are in. You may not even need to do anything in order to get this additional promotion in some circumstances so it’s really an incredible addition if you manage to drum up word of mouth. Creating a hidden setting like this is not simple, as you might expect, since you have to deal with a large number of different factors from zoning to liquor licenses. Unless politicians in your area are tolerant to this sort of thing you may end up having a very difficult time with all of this. Be sure to find out what connections you will have to make in order to keep everything running smoothly once you start picking out furniture and other small items. Usually outdoor patio furniture for these bars is very different but is a big part of the charm. In most situations it’s a phone booth or other strange part of the exterior. However in some cases it could even be a full, separate restaurant on the outside. Every now and then it’ll be a part of the main restaurant or bar that is flipped or moved around in order to accommodate new clientele during certain hours of the day. No matter which format you go with you cannot go wrong. As for accessibility contractors are used to doing things like this in the modern day. They probably have some way of how to build it for you due to their massive success. 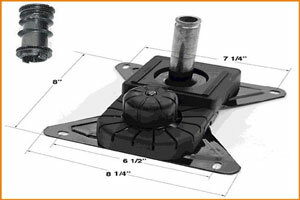 Therefore just shop around a bit and find out if there are any in your area who are ready to handle the project. You may be pleasantly surprised. If you’re just going with a small hidden door it can be surprisingly affordable as well. Choosing furniture for this should fit with whatever theme you have, although many bar owners obviously go with a speakeasy. There is no wrong way to do this but make sure that each of your patrons feels like they can only experience your setting right there. Beijing is a city of mystery and beauty. Only those who intensely study the area know anything about it at all. Therefore it’s also a fountain of inspiration for designers who want to learn from a new perspective. It’s also a popular subject in many movies and television shows because many people love to romanticize the exciting area. That part of the dream is true, Beijing is certainly an exciting place to live and learn in. Many sites list off these bars but do not go into what makes Beijing really special. It’s a city full of life and love but also one that pushes the boundaries. 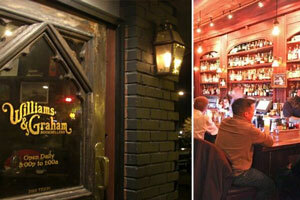 It holds charm that we cannot describe with mere words and is a great place for bar owners to draw ideas from. Some bars like “The Orchid” recall a simpler time as well. 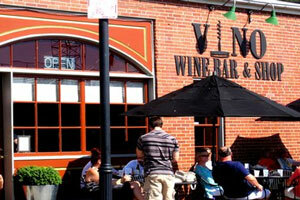 They have a small wine-orchard setting where people can enjoy the colloquial style of the area. It’s also a simple setting without all of the modern settings that everyone sees in other bars. Sometimes keeping things easy and small-scale is the best way to insure you can draw in a different crowd. Food and drink also set the area apart. While there are certainly influences from all over the world there is also obviously a hint of oriental culture in many places. Floral wines with light tastes are just a small part of the charm that sets the entire area apart for those who visit and enjoy themselves. All the greatest cities in the world have their own form of special style like this as well, which tourists love to take in. Speaking of florals the ambient temperature and exotic nature of the area also accent any outdoor furniture people put up there. While it’s not the only place in the world where this happens it certainly stands out for those who love the setting. For many it creates a natural look with highly modern buildings which you simply cannot see anywhere else in the world. Rooftop bars are a big part of the charm as well. 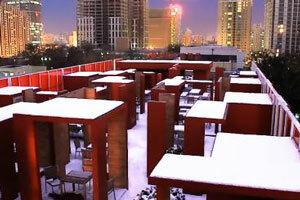 All outdoor dining tables are maintained to a high standard in the best bars there. Patrons receive an incredible view of the city while lounging back in the latest furniture from around the world. In many ways you could walk into a bar here and be unable to tell a difference from one in New York. It’s a really cosmopolitan setting for those in the upper crust of society. They experience nothing but the best at all times. Another bit of the charm is that on the cheaper end of the area you also have smaller pubs. There are many small businesses that fit right in with the average worker looking to get a nice drink. Bar owners can rest assured that no matter how amazing your city is there will always be a place for the local pub. This holds true no matter where you go in the world. It’s an inspiring and unifying part of design that we really appreciate and you should too. Your bar can become the intellectual and cultural center of your town, no matter where you are. But how do you create a design which draws people in like this? The way to do this differs depending on who you have nearby but it’s possible no matter what. It can draw a lot of new attention to your outdoor bar furniture and other items while bringing in a decent amount of money every month. So how do you do it? Before you do anything with this you need to figure out who the deep thinkers are in your area. Are they average people who like to discuss things casually? Rich intellectual elite who want to sip on wine while lounging back? Or are they hipsters who simply want to discuss a short story they wrote? Finding those who want to sit back with a drink, some conversation and thought is essential to actually figuring out how you need to design everything. When buying contemporary outdoor furniture for this sort of setting you can do almost anything you would want, just keep it comfortable. Keep your audience in mind and figure out everything from drink placement to where they will look when discussing things in a group. Once you understand all of these factors it’s incredibly easy to manage all of this. There is of course a risk factor in doing this though. You’ll be pushing some people out who just want to enjoy themselves without a social gathering. But on the other hand, it is a bar. Unless you are having a social gathering something is probably wrong. You can’t really go to a bar looking for seclusion and isolation so you will probably just have to offend some people when it comes to this. Be sure to ask your patrons as always, what they want to see in furniture and events. By creating the exact events they are looking for you can really bring people in constantly. Unless you’re bringing in new blood pretty often you can’t expect to stay in business. It’s a simple part of the business you probably already know about. You may find out that they want to mix styles as well. Some locations center everything on this community. You can plan everything around a group focus but it has to feel natural. If people feel like it is not their choice to hang out and celebrate cultural events then they aren’t going to go for it. If the bar design feels forced then people simply are not going to buy any of this. They’ll simply move on when they feel like you are pushing them into things that they never signed up for. You can also go with non-traditional celebrity appearances of noteworthy authors or speakers. It’s a very different take that only works with a highly upscale bar but it can bring in quite a lot of people and give you a huge amount of publicity in the meantime as well. It’s a good solution for those with the influence or money to bring in some big names. Something all of the top bars in London share, with the exception of a few legendary pubs, is a view. 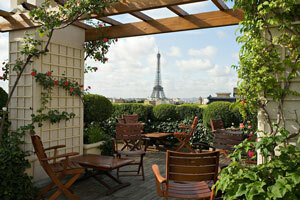 Having a raised or rooftop area to look out upon the ancient architecture is extremely useful. It helps you give average people a new look at the area and those who really appreciate fine architecture and design can also appreciate all of this as well. Many of them also have an aspect of novelty, from a radio bar to a “rumpus room”. This is nothing new with bars around the world but all the top spots for tourists have something to set themselves apart from the absolutely massive crowd. A rich history runs through many of these bars as well. For a City and Country with so much history this is very important. Because when you have hundreds of years added to your design and atmosphere it brings something special to the area. While it’s not something unusual in Europe it is worth noting. New bars have to actually really work hard to get in when you have so many amazing settings already in place. Tourist appeal is also essential for so many different reasons. No matter where you are if you are in a big city you will need to appeal to this demographic here and there. They make up a big part of your overall profits. Every design website worth any of your time has some piece on this. In this case multiculturalism is the drawing factor for many bars. For example the Courtyard Garden is less bar, more Japanese Garden. If you feel that your own designs are becoming stale and you’re bored with them then try to look into some other cultures. Remodeling is a normal part of all these addition. It’s a normal way that many locations keep things fresh and set up repairs as well. Outdoor Bar Stools in some areas also appeal to the high fashion of Britain. This is the paradox of the culture, as you’ll find people who celebrate the highest art in one bar and others who might have a fight to go along with their drink. It’s an atmosphere unique to the United Kingdom. Extremes are another aspect that bar furniture and design share in the United Kingdom. Those in the area like things to be either incredibly clean or quite comfortable and maybe a bit worn. Some bars even have items which are damaged or even a bit dirty. That’s how their patrons like it and you should shoot for one extreme or the other. It’s the best way to make people feel like they really fit in at a place. The final, and perhaps most important aspect, is that there is so much competition here. United Kingdom dwellers lover to drink, as everyone knows, not that many other parts of the world do not. However since there are so many brews, and bars, the competition is incredibly fierce. It’s not easy to stay afloat in many places unless you’re the only place to drink in the area. So design and other factors create a better sort of outdoor bar in many parts of the City. Many cities have terribly restrictive limits on what you can put on your patio. It’s quite common in cities where space is at a premium. Many more of them also decide to enact this when they see their growth go up, up and up again. This happens all the time and new laws are added every month to change things up. Ever level of government has a different level of law and you can even end up with several different layers as well. City officials will enforce this with fines, even if it makes them rather unpopular in the area. For many this is an additional revenue source that they need in order to keep their budget balanced. Unfortunately, as it is with so many little laws, your loss is their gain. The more fines they can levy upon you the more money they will make. Therefore there isn’t much reason for them to leave you alone in this area. Make sure that you continually check up on any laws in your area that could come up. And also with any trends that are happening in design right now which lend themselves to smaller items. This is the best way to avoid the many problems which arise from all of this. Some people attempt to have the laws changed due to outrage. This isn’t an option for many of us. Whether they are often successful with it varies from area to area. There is also the option to simply let them levy all the fines on you and just pay them off. It’s not for everyone but those with a lot of money can simply do this because they are making much more money on the other end. Fortunately there are many different ways to adjust your outdoor furniture and patio areas to this sort of thing. Both in normal settings and in those outside of the traditional setup you can expect to have many options in this area so don’t worry too much. Sometimes this can actually be a good thing, when less is more with some of your clients for example. Every now and then there are people who really love to sit in smaller settings. Patio Furniture can get a bit excessive at times. So much so that it becomes a fire hazard, but very few laws are actually meant to curb this. It’s meant to generate revenue or cause problems for those that people do not like. It’s all politics when it comes to restrictions like this and there is little you can do to avoid it. While you may hope that the law is reversed it doesn’t usually work this way. It’s much better to design around the Curfew. Fortunately with the new materials and seating that come out each year you can fit just about anything into a very small section. This is because we can create smaller and smaller items constantly. It’s that simple and we’ll constantly see even more items like this enter the market as well. We’ve discussed the advantages of reservations before but today we’ll be talking about how some bars make money, much more money than usual, by using this effectively. It is how you manage to make up the extra money you are missing out on in order to stay in business during these trying times where competition can put you out of business very quickly. So how do you make your customers comfortable with this? We’ll be discussing that as well. When first designing your reservations they should come with some added service or other bonus that makes them worthwhile. At times this simply means you have to continue building on everything you offer. Unless you can do something better than anyone else in the city you don’t stand a chance of keeping reservations. People simply won’t pay for them. Exclusivity is sometimes the best way to draw people. When paired with novelty it is often an unstoppable force for drawing in new patrons. It is how all the biggest and most amazing bars got their start and evolved into the massive organizations which they are today. Because of this you should probably look into things like this as well. It’s really that simple. The only drawback is that you need to make people feel like they are paying for quality and are getting more of it from what they spent. 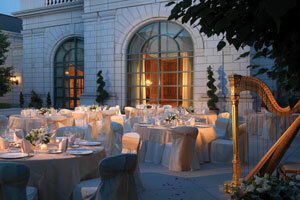 Therefore you should have regular events like special menus or even wine tastings for your customers. They need to feel like they are the most important people in the world to you. For many of our readers we would wager that you already feel that way about them anyway. It also obviously breeds an air of exclusivity that some people actually go out just to experience. They come more for that than the food or even the conversation. It’s a bit odd but quite common in many social circles for this to happen. Fire Pit Tables are also really important for many novel settings like this. They add a little bit of extra charm so that you can justify your reservations. As long as people think they are getting their money’s worth they will gladly pay a bit extra. Cuisine is also a huge factor that helps people enjoy your outdoor furniture even more. As always atmosphere is the key here and having some impressive dishes from a great staff can really contribute to that in so many different ways. If possible you may even want to sync up your menu with the decorations at times, especially around the holidays. All of this adds up to more money for you on the bottom line. 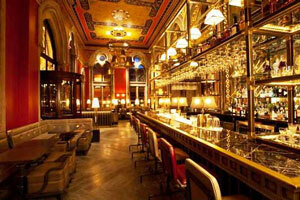 It is of course only suitable for expensive bars where everyone is chasing the latest fashions. You won’t be seeing any of this come up at a local family bar that people come to relax at. It does fit in with some Parsons Modern though. So if yours fits with that style then you should definitely look into this to get the most out of your establishment. Paris is the city of light and love. Although much of that is just marketing, it is obvious that there is a certain charm to the nicer parts of the area. We’ll be talking about what sets bars in there apart. Several elements go into this that you can use in your own setting in order to really wow people or even make them feel like they have been transported to Paris themselves. It’s quite easy to do all of this once you know what sets it apart. Many bars have one thing in common, open layouts that focus on nature. Communal areas where people can make memories with each other are extremely important. Indeed, they are a big reason behind all the nostalgia behind this area that drives so many tourists to come in and try to make their own memories as well. What people don’t know about Paris is that you don’t magically become famous and amazing by being there. It has a share of poor establishments with ugly furniture and rude service. These come and go but no city is perfect and the fact that Paris is built up so massively in literature as well as movies sets expectations high for them. On that note high expectations are something that sets them apart from practically everyone else when it comes to their standards. The greatest bars and restaurants here are some of the best in the world, much like you would find in other important cities like Tokyo and New York. This competition creates a race to the top for the greatest decorators and business owners and insures that worse ones do not manage to rise all the way to the top. They redefine themselves every year. Outdoor Furniture is quite flexible as well. It could be anything from traditional seating to just a few benches in a massive, open area. If you run a business or own a large tract of land you may want to consider turning a huge portion of it into your own massive outdoor room. Just doing this by itself can add an extra touch to your outdoor furniture that grabs the eye and makes people feel like they are in a place that can be seen nowhere else in the world. Despite not being the perfect city shown in media it is a part of the world where many people are innovating constantly. This constant innovation keeps things fresh in the art world and pushes people to put out more outdoor furniture than ever before. Because of this it’s clear that this is a big driving force. If you want to go the easy route you can simply get some French-themed furniture and dishes in order to create the setting are looking for. Depending on how popular such designs are in your area you could even use it to stand out in a setting which has many other, common-looking restaurants or bars. It can really work for you if people have not seen this before in your area. Curfews are becoming more and more popular when it comes to bar areas. It’s obvious that crime goes up in the later, or early, hours of the day when visibility is low and criminals enjoy picking off easy targets. You could even see something like this happen in your own area so it’s important to keep in mind. What can you do to protect yourself and still make a profit despite losing out on some lucrative hours? We’ll discuss this as well. 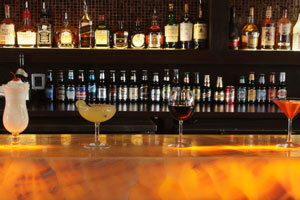 Revitalizing your bar to draw in more people at select hours is the first step that you need to take. Since you cannot simply continue serving past the curfew you need to draw people very quickly by bringing them in at the hours you need the most. So be sure to select new items in your outdoor bar furniture area. If you want to cater to the after-work crowd have some comfortable seating and good drinks. If you want to cater to the sports crowd go with some booths and flat screens, even outdoors. Your Outdoor Furniture selections should not change very much. It should already be resilient and comfortable or stylish as your bar prefers. You may need to replace it less if you are having few rowdy clients cause damage your items because they’ve had a bit too much to drink. So that’s actually a plus to the curfew. It may not make up for the money you will be losing but it is not all bad. In some cases if the curfew takes out the majority of your patrons a total redesign of your establishment may actually be in order. We hope that this never happens to you but it is something you can handle without a ton of trouble if you are forced to do it. Be sure to look for other bars that went out of business or even in consignment stores so that you can actually find the very best price. You don’t want to break the bank on that unless you have money to burn. If you have a high-end bar then you probably won’t have to change anything anyway. Just keep things as they are. Bans like this are even happening in Florida quite often. If you are in a party town you could be at risk here. Be sure to keep track of all this and make sure that you won’t have to change your setting anytime soon. Otherwise it may catch you by surprise and cause a huge number of problems for you down the road. The other change you may want to invest in is having fewer items for heavy drinkers. With the curfew in place you’ll probably see much less use for giant mugs and beer bongs. While you may want to keep a few around you’ll only probably need 1 or 2 since the party crowd will cut down in many ways. There are some legitimate concerns when it comes to safety here. Police are concerned with people getting a bit too drunk and either really hurting themselves or hurting someone else. It happens all the time. So be sure to keep your people safe in addition to providing them with beautiful furniture.